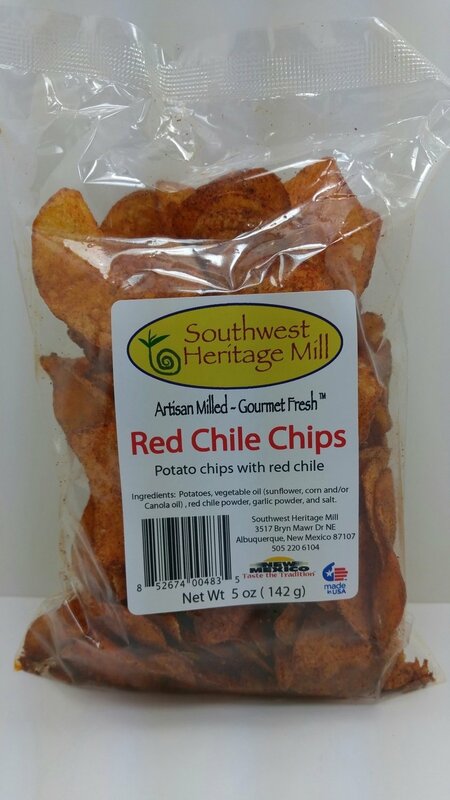 Potato chips covered with spicy red chile and garlic. Not your ordinary potato chips. Great for snack. Comes in 5 oz.